Story of the evolved of Hello kitty to Nightmare Dinosaur. 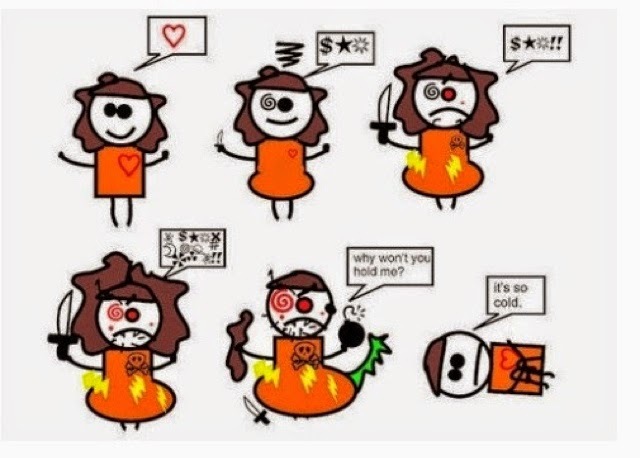 This kind of sum up every girl’s weekly affair with their period. We do feel bad about flaring our horrible moodswing everywhere and to anyone but we can’t help it! Dealing with cramps and feeling bloated every part of our body makes us crazy. To make it worst, we have to worry about waking up on aJapanese Flag. All we asked for is just so simple on our period. We want to have a good night sleep and the last thing we would want to deal with is stained sheets. 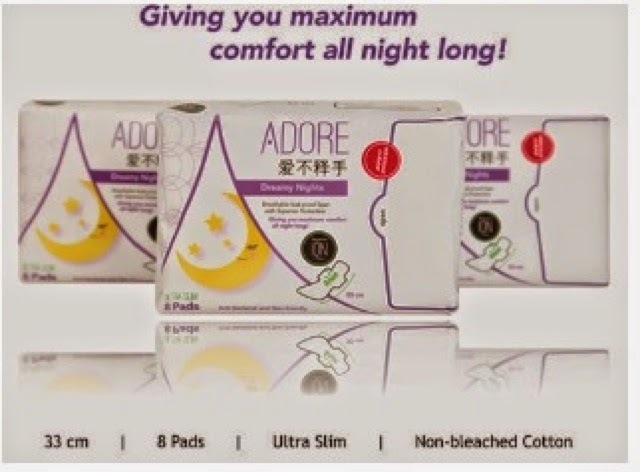 ADORE’s breakthrough technology features green compound strips bonded with far-infrared rays and nano Agᶧ, emits around 6100cm3/s (100 to 150cm2/s) of highly concentrated negative ions to effectively inhibit bacterial growth, promote freshness and improve feminine hygiene. They are so slim, Kate Moss be so jealous. Slim but high in absorbency. I like how thin it is that it gave me so much comfort in wearing bodycon dresses. Now, I could care-freely sleep till next morning. I can now roll all over my bed till next morning without worrying! Other than Dreamy Nights, their Comfort All Days gain my favour too! So Convenience for traveling. I no longer have to worry anything and sulked looking for convenience store to get whatever I missed out. Feeling happy even on my shark day is one of rarest thing ever in my life. ADORE provides up to 18 hours of protections. Helps prevent UTIs and other genital problems caused by bacteria. They are the Winner Of Best Selling Premium Sanitary Napkins. Reseal-able thus ultimate hygiene . Where to buy ADORE - WATSONS, GIANT, SHENG SIONG and Selected Minimarts Islandwide.